On Christmas Eve, I made white bean soup using some of my frozen mirepoix and the last ham steak from cousin Norah up at Sweetland Farm. I would have made cornbread to go with it but for some baffling reason, both my little boys refuse to eat cornbread. So I cast about for an alternative that would not provoke the dreaded, dinner-time, I-WON'T-EAT-THAT!!!! tantrum. 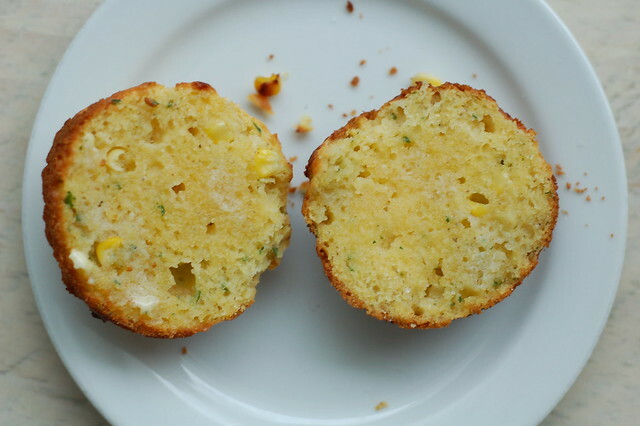 After considering a number of rather fussy and labor-intensive options, I discovered the recipe for these simple, scrumptious corn muffins on the Land O' Lakes web site. And they turned out to be perfect muffins! Moist, fluffy, with just the right amount of sweetness and a subtle, toothsome texture from the mix of cornmeal and flour. I served them, still warm from the oven, slathered with butter and topped with a sprinkle of sea salt. Both boys wolfed them down and even ate the soup without commentary. Thank goodness! I used Wild Hive Farm's fine-ground cornmeal which is superb stuff. 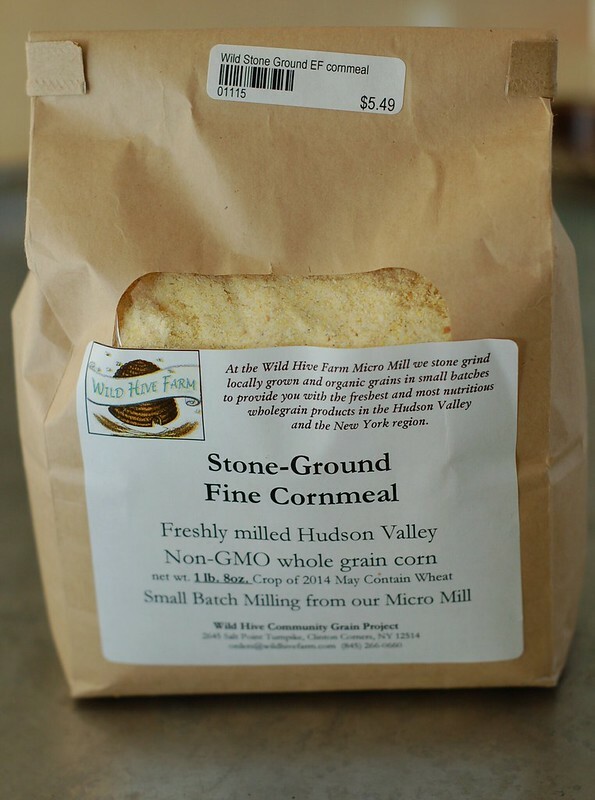 Wild Hive's corn is one of the few grains I can get that's grown and milled right here in the Hudson Valley though I'm hopeful that that will change as more and more northeastern farmers begin to master the lost art of growing grains for human consumption. 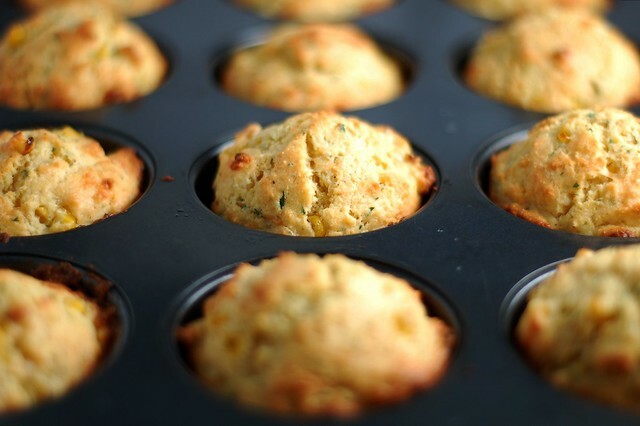 As with most cornbread recipes, these muffins actually contain more wheat flour than they do cornmeal but you can certainly substitute a gluten-free flour mix if you can't/don't eat wheat. I kept mine simple out of respect for my kids' palettes the first time but have since made them with nubbins of grilled sweet corn that I froze in August, sharp cheddar cheese and flecks of fresh cilantro - MWAH! You could also add things like chili powder, a dash of sriracha, scallions or caramelized onions. 1. Preheat oven to 415°F. 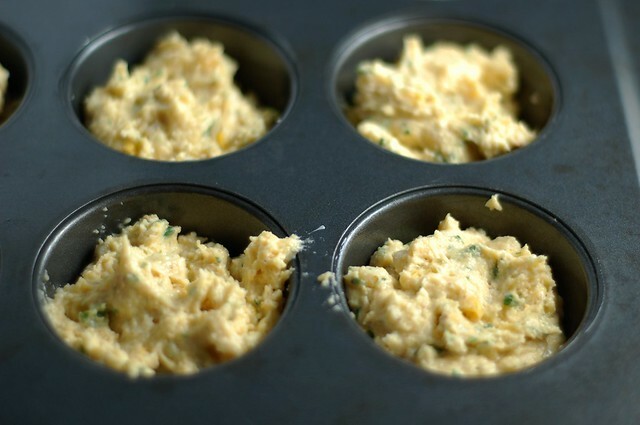 Grease your muffin tin and set it aside. 2. Combine the butter and sugar in a bowl and beat on medium speed, until creamy. Add the eggs and beat to combine then add the sour cream, milk, flour, cornmeal, salt and baking soda and powder and beat at low speed until just mixed. Do not over mix. 3. 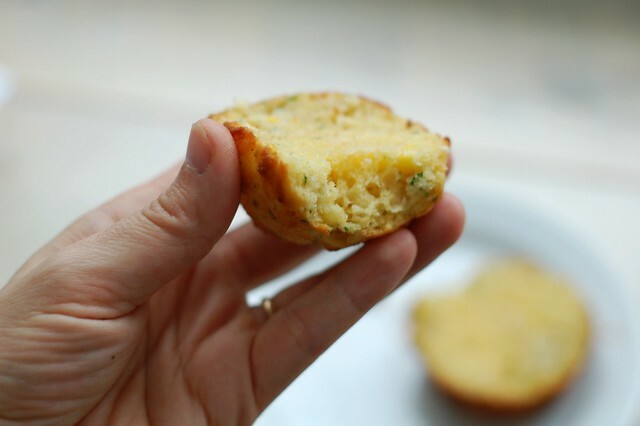 Spoon the batter into muffin tin and bake for 15-18 minutes or until golden brown. Remove from the oven and let sit for a few-3 minutes before removing to a wire rack to cool. Serve warm with butter and a sprinkle of sea salt. Excellent ... light & moist.